As we discussed earlier in our resent post about online payment services in Pakistan, today we will discuss which payment method we should use in Pakistan as PayPal alternative, officially PayPal not allow Pakistani residence to register on their website for using PayPal in Pakistan. There is no doubt that NO alternative exist which can completely replace PayPal, They have many tools for your business, To grow your business they do also offer integration APIs, a lot of customization’s, and most important thing, they protect PayPal users against any illegal and people frauds, They care about you and people making business with you. The customer support is best than all. fees are also affordable, user can do transactions with their cards or bank directly. So far PayPal not allow Pakistani users to get accounts with them, eventually we need alternative, We cannot stop doing our work, we have to work and receive payments online, so we need to choose the best alternative which can help us to receive payments online from our customers/clients, or pay online for buying stuff. Fortunately many online payment providers allow us Pakistani’s to get online merchant account, They are not less known, but less than PayPal, However there are few worthy options that can substitute PayPal, So lets go over with the available online accounts which we can use in Pakistan and why you might use one over another. Skrill formerly called MoneyBookers is a strongest competitor of PayPal, Skrill allow you to create your Personal as well as business account in Pakistan to accept direct payments from your website online, Skrill is being featured on number of popular companies like Skype, Ebay and many others as a payment gateway. 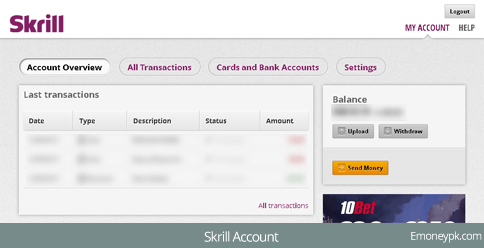 Skrill is available in a large number of countries, you can expect the maximum number of users with it, They do also offer you to add, withdraw fund with Credit Cards or local Bank. Less Fee, if you compared to PayPal. 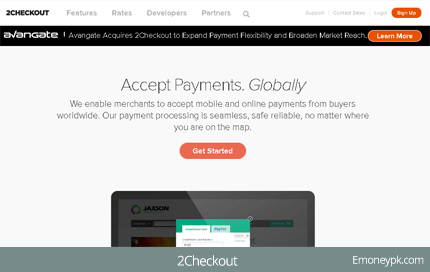 2Checkout has been on the internet from ages, Working from almost 12 years, They are offering secure, fast and flexible payment option for online businesses, This international online payment gateway has proved to be the best for for thousands of tangible and digital products and services sellers. 2Checkout is a payment processor alternative to PayPal but the good thing is that, You can accept PayPal payments on website using it, Eventually not alternative but best to receive PayPal payments even PayPal not allowed in your country. 2Checkout utilize PayPal and credit cards, and help their customers to receive both PayPal and Credit Card payments on their websites. You can receive payments with Credit Card and PayPal using 2Checkout. if you’re running a business with a lot of transactions, 2Checkout merchant account might be the best way to go. This payment method is highly recommended to the businesses who have large number of transactions, this is not a simple payment gateway like Skrill, it is only for Business, Companies, and firms. High security to secure your transactions. Well Payza Formely (Alertpay) is still working, Yes ! 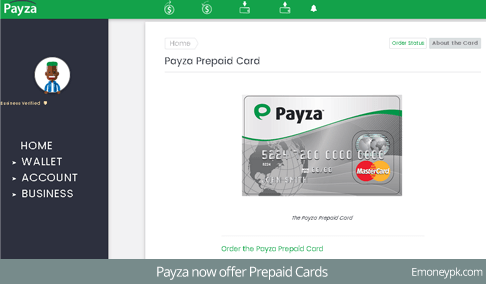 you heared it right, You can still use Payza in Pakistan as now they are offering Prepaid Debit Cards to Payza verified account holders, Which are really very usefull to utilize your Payza fund online or withdraw fund from all the ATM’s within pakistan or all over the worlds. Backdays there was no Prepaid cards and Payza bank withdrawal system was not working too, But now Payza is bit better, There is a saying, Something is better than Nothing. SO which one you are going to use now? So which payment gateway you are going to use? Which one can really meet your needs? It depend in which type of business you are? You can try any one of these, as they are all free, you can get your merchant/business or Personal account without any fee. yes these are true online payments services. kya in dino ap skrill py deposit kr rahy hai? i get money by paypal in pakistan can i do it? I need to register on a transcription site but registration there needs to mention a PayPal email so that I can receive my transcription job payments. Would you give me your PayPal email so that I can put that email address for registration? Thank You. How to pay from internet banking ? I want to pay with paypal but i don’t have paypal account.. please tell me can you pay for me and i will send pakistani rupees to you.? Why payoneer is not in this list? many of us freelancers using Payoneer and it is best..
Because Payoneer is different than the above mentioned payment methods, Payoneer not allow you to get Merchant account or ingrate Merchant account on your website for receiving automatic payments. we want paypal in pakistan not any other payment solution.. i don’t know when this will be available in pakistan we love it.